The history of fashion is deeply personal, with cherished garments surviving for centuries to give us a unique glimpse of someone’s style; a real-life manifestation of high-fashion garments that look impossible, or at the very least highly improbable, if you study contemporary cartoons. 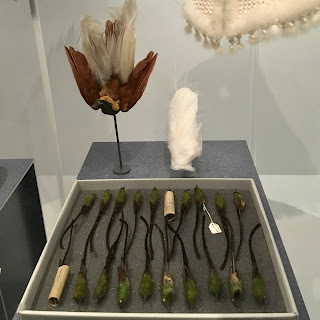 It is also global, a complex network of threads that have connected continents along trade routes and supply chains for millennia. It is a history of the search for novelty as well as practicality, of brutality as well as beauty. 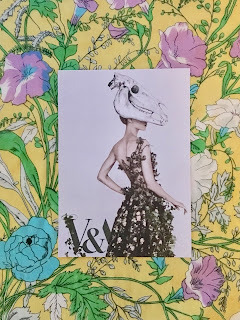 Fashioned from Nature at the V&A looks at the complexity of the history of fashion through its relationship with the natural world, how inspiration and exploitation have become two sides of the same coin, and how we can break away from the bad practices that make fashion the second most polluting industry in the world. The exhibition opens with an exploration of the range of materials that people have used for clothing over the centuries. 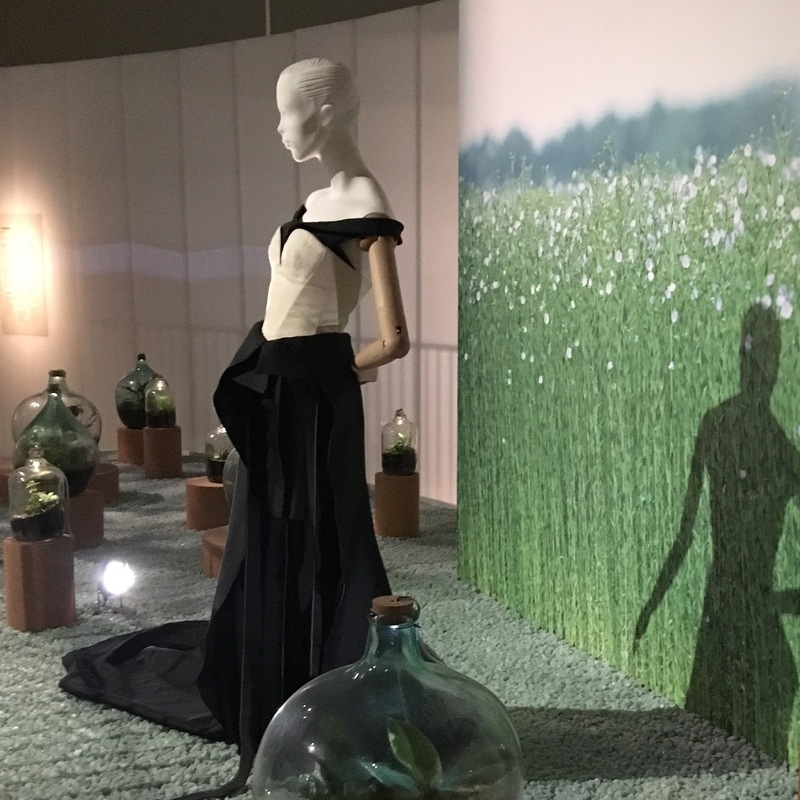 Some materials that we would associate with years past, like flax (traditionally grown in Northern Europe and spun into linen), are enjoying a revival as we start to look for fibres that require less water for growing and processing. 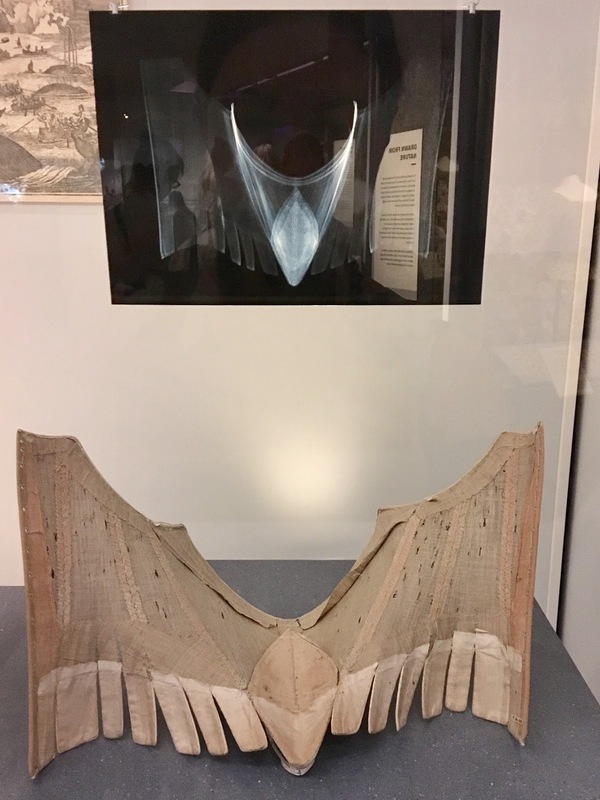 Other materials like baleen (from the keratin plates in a whale’s mouth that enable them to sift microscopic plankton from sea water) which was used for corset boning have thankfully been replaced by modern alternatives like flexible steel, although not before whales were hunted almost to extinction. 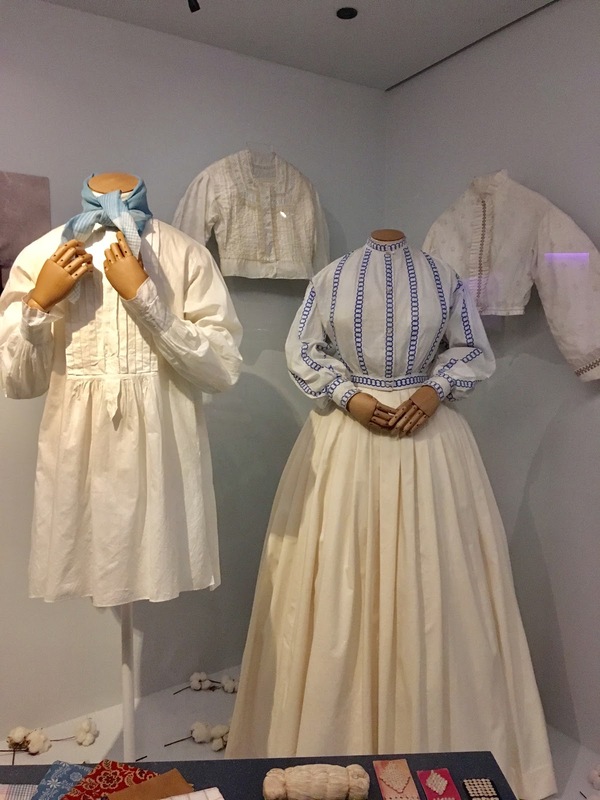 The exhibition doesn’t shy away from presenting the problematic past of some of our favourite fabrics; the history of cotton cannot be separated from the history of slavery in the U.S, with cotton plantations in the southern states reliant on slave labour. Wealthy mill owners in the U.K. also benefited from cheap raw materials from our occupation of India, and the exploitation of poorly-treated factory workers during the Industrial Revolution. We are also shown the ways in which we have plundered the natural world, desperate to capture some of its beauty for ourselves. From the birds of paradise killed and stuffed to adorn accessories, to the wild animals hunted for their fur, and even the silk moth larvae that make one of our favourite luxury fabrics. 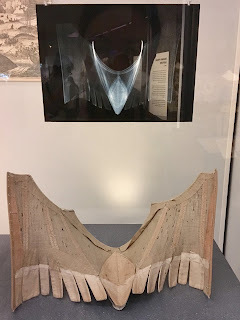 Iridescent beetle wings decorate diaphanous muslin dresses, they were sought-after and widely used despite their exotic provenance because they were “cheaper and more accessible than an emerald or a ruby” according to a curator from the Natural History Museum in a video that accompanies the exhibition. The exhibition isn’t all doom and gloom though; there are beautiful examples of how the natural world has inspired more sustainable homages. 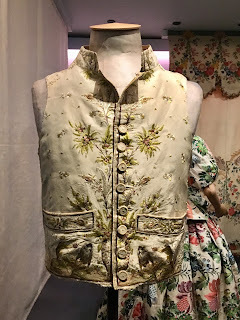 Exquisite embroidery adorns jackets and waistcoats, and the popularity of bold prints is illustrated by 17th and 18th century textiles, as well as 21st century designer gowns. There are also historical examples of fabrics I’d assumed were modern innovations: I love Pinatex, a faux leather made from pineapple fibre, as a material for shoes, but the exhibition features a dress from the 1830s made from a pineapple fibre that is woven to resemble a fine cotton lawn. As well as showcasing natural materials and textiles, Fashioned From Nature reveals the unforeseen side-effects of trying to come up with man-made substitutes: the water pollution and chemical poisoning that began on a large scale with the invention of aniline dyes in the 1850s, and continues to this day. 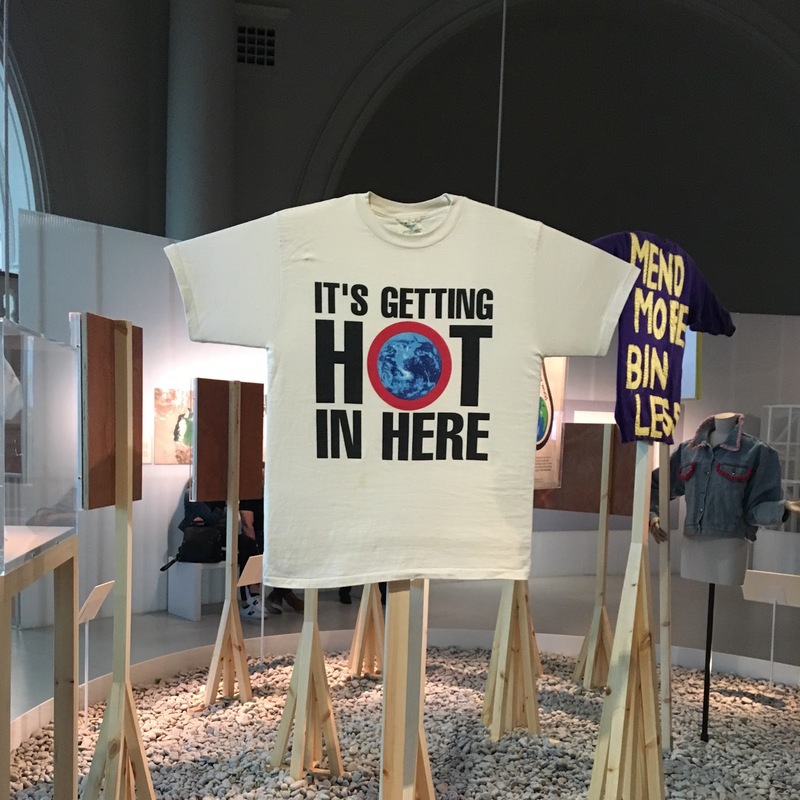 It also demonstrates the global nature of the fashion industry by tracking the production of garments from raw materials to shop floor, and the global devastation that the fashion industry can cause, from deforestation to the draining of the Aral Sea. 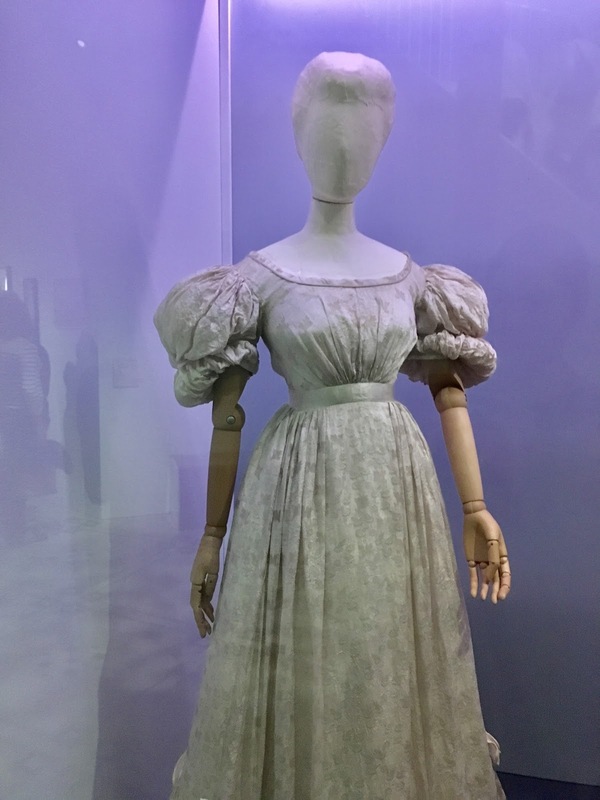 The exhibition strikes a hopeful note with inspiring examples of fashion innovation that combine great design with thoughtful production. A vast array of fashion textiles, from specially moulded sneaker parts to knitting yarn, can be made from reclaimed fabric waste. Elsewhere, designers are turning other kinds of post-consumer waste into high fashion, a great example being a strikingly chic Salvatore Ferragamo ensemble made a fabric derived from citrus fibre. Other design collectives are synthesising brand new materials from organic sources, like Bolt Threads bio-engineered “spider silk” and mushroom leather. Knitting and crochet have always been great ways of producing zero-waste clothing, and designers Katie Jones and Unmade eliminate wasteful overproduction by making their knitwear to order. 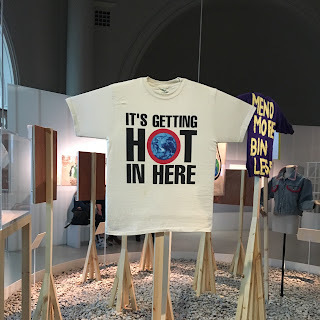 Fashioned From Nature makes it clear to us that the apparent over abundance of clothing is an illusion that cannot be maintained forever, given the looming spectre of climate change and irreversible environmental degradation. 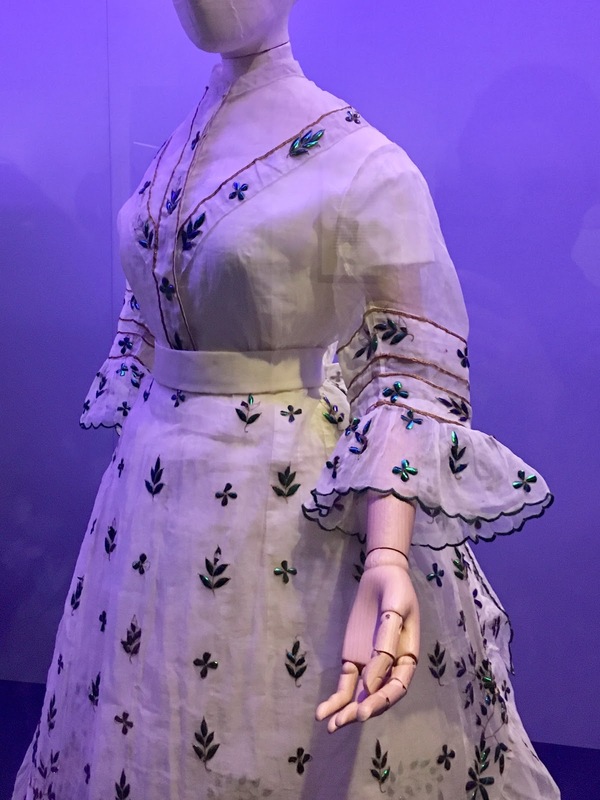 However, the exhibition never suggests that this means we have to give up our love of clothes, or our desire for beautiful things. 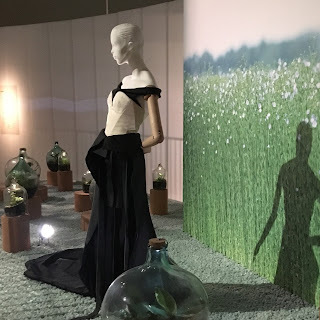 My favourite piece in the exhibition was the most beautiful piece of zero-waste clothing I have ever seen. Made during World War Two from strips of salvaged parachute silk, this exquisitely delicate blouse is made from thin strips of fabric, embroidered together to create a fitted shape. 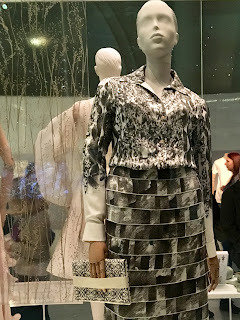 Its style is a tantalising mix of a demure shape and daringly sheer fabric, and as I stared at it my imagination ran away with me and I started thinking about the woman who made it. Was she making it for a special occasion, waiting for a sweetheart to return? Was she having to do this painstaking work by poor light in the evenings, tired out from war work? 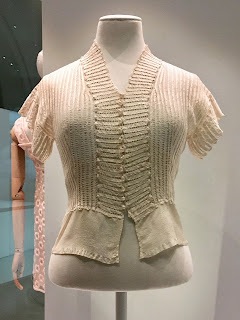 Creating something so soft and light from an object that was part of the destructive machinery of war is the best example I can think of for the transformative power of fashion; we all have to make sure we use this power for good.